Mary's Rosary Chain is a work of love started in October 2007, with the aim to evangelise through printed prayer cards and rosary beads, which promote devotions to Our Lord Jesus and Our Blessed Mother through the holy rosary and other various devotions. Our mission is to spread these free devotional prayer cards and rosary beads into homes, parishes, schools, hospitals, prayer groups and into many parts of the world, especially mission countries. We are also inviting and encouraging the faithful to join Mary's Rosary Chain by praying one decade of 10 Hail Marys or more each day, in communion with other participants in this great powerful chain of prayer. All participants are invited to enrol their names on a list, and have their names placed permanently under the Blessed Sacrament in a Monastery of St Paul the First Hermit, 'Shrine of Our Lady of Mercy, Penrose Park, where the Order will pray daily for their intentions. Holy Mass is also celebrated for all the names of participants every Saturday. The great benefit of praying this one decade or more of the rosary each day, in union with tens of thousands of other participants around the world, is the abundant fold grace of combined prayers, together with the daily prayers of the Pauline Order, for the needs and intentions of the participants. 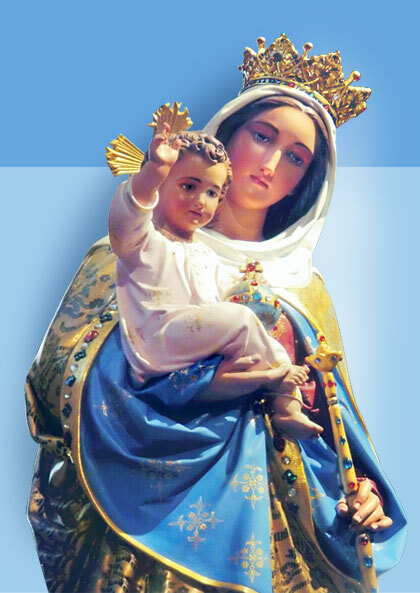 An invitation is open for all parishes, schools, religious orders, prayer groups and catechist teachers and for all the faithful to promote and spread this devotion to Our Blessed Mother throughout Australia and wherever possible.